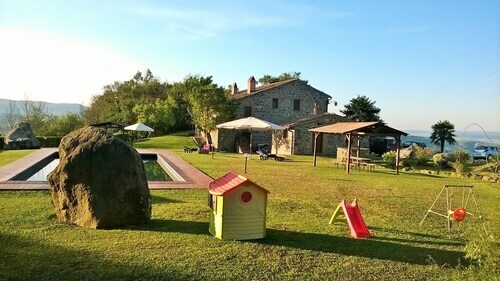 Situated in a rural location, this farm stay is 2.5 mi (4 km) from Baths of San Filippo and within 9 mi (15 km) of Rocca di Radicofani and Mining Museum Park. Abbazia di San Salvatore and Piazza delle Sorgenti are also within 12 mi (20 km). 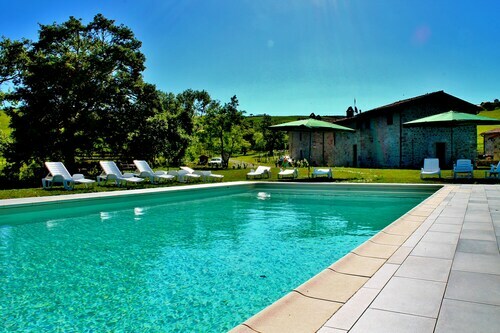 Situated in Radicofani, this farm stay is 3.2 mi (5.1 km) from Rocca di Radicofani and within 12 mi (20 km) of Baths of San Filippo and Val di Chiana. Archaeological Museum of Sarteano and Abbazia di San Salvatore are also within 12 mi (20 km). Situated in Radicofani, this townhouse accommodation is 2.1 mi (3.4 km) from Rocca di Radicofani and within 9 mi (15 km) of Baths of San Filippo and Val di Chiana. Abbazia di San Salvatore and Archaeological Museum of Sarteano are also within 12 mi (20 km). Situated in a rural location, this romantic property is 3.1 mi (4.9 km) from Rocca di Radicofani and within 12 mi (20 km) of Baths of San Filippo and Mining Museum Park. Abbazia di San Salvatore and Val di Chiana are also within 12 mi (20 km). How Much is a Hotel Room in Radicofani? Hotels in Radicofani start at $73 per night. Prices and availability subject to change. Additional terms may apply. Do you want to make memories in Siena? Seeking somewhere to put your feet up? Travelocity boasts many excellent options. Travelocity's extensive booking portal contains 19 memorable accommodations within 6-mile (10-kilometer) of Radicofani. 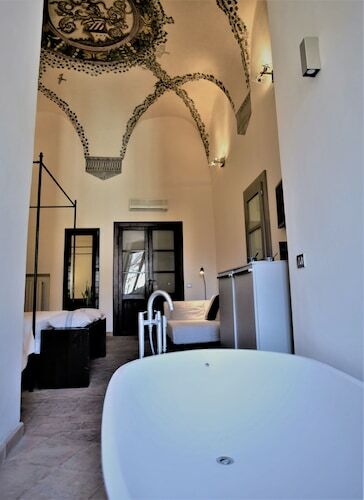 Read about several Travelocity-listed hotels you can check-in to within a 3 miles (5 kilometers) drive from Radicofani's urban core, including the Podere Pietreta and Fattoria La Palazzina. You could also check out the Terme di Saturnia Spa & Golf Resort as well as the Castello di Velona SPA Resort & Winery. The Terme di Saturnia Spa & Golf Resort is located only 20 miles (36 kilometers) away from the main part of Radicofani. 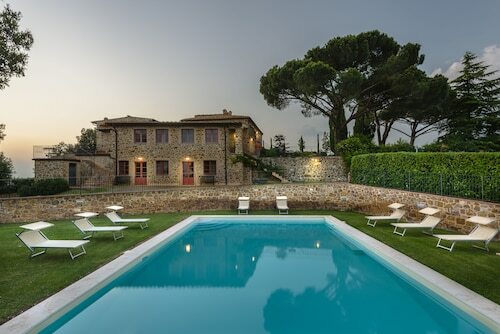 The Castello di Velona SPA Resort & Winery, can be found just 13 miles (20 kilometers) away. More hotel options around this area include the Adler Thermae Spa & Wellness Resort and the Fonteverde. After you and your family have discovered the local highlights of Radicofani, why don't you discover a little bit further afield? The Tuscany area is home to countless attractions waiting to be explored. Travel around Tuscany's ruins, castles and traditional villages. Nature lovers should also put aside some time to admire its rural landscapes and beaches. In this region of Italy adventurous travelers may also try their hand at snowboarding, skiing and snow shoeing. Val d'Elsa is 45 miles (76 kilometers) northwest of Radicofani and is home to Archeological and Collegiate Church Museum and Torre Rognosa. Should you wish to stay in Val d'Elsa, check out the Tenuta Di Mensanello and Torraccia di Chiusi. Alternatively, you could consider staying at Val d'Orcia, 11 miles (17 kilometers) to the northwest of Radicofani, where you can choose from the Hotel Osteria Dell Orcia and Locanda del Loggiato. If you're staying in Val d'Orcia, it's worth visiting the Collegiate Church of San Quirico and Palazzo Chigi. Before you say goodbye to Siena, make sure you are able to watch some sport. Make your way to Stadio Artemio Franchi - Montepaschi Arena, which you can find northwest of Radicofani. Anybody that hope to book a Travelocity-listed hotel nearby can look at the Residenza d'Epoca Relais Campo Regio or the Palazzo Coli Bizzarrini. Located 65 miles (108 kilometers) away from central Radicofani is Peretola Airport. Base yourself nearby at The St. Regis Florence or The Westin Excelsior, Florence. Everything was outstanding. The staff was spectacular. The room was spectacular. The location was spectacular!!!! Location very close to center of Orvieto a great walking city and fortress. Staff were friendly. Free Parking was not included and parking was wherever the staff found spaces, so not convenient. breakfasts were excellent, staff friendly. Bed was sort of king size light weight. Bathroom was small, showere almost too small for a big guy to use. Wifi was spotty and upload of photos was worse then dial up speed.